Mt. Joy gained rapid success with their 2016 single, "Astrovan." Since then, the group has performed at Bonnaroo, Newport Folk Festival and has opened for the likes of The Head and the Heart and The Shins. With their 2018 debut self-titled album, Mt. Joy has garnered more than 90 million Spotify streams. 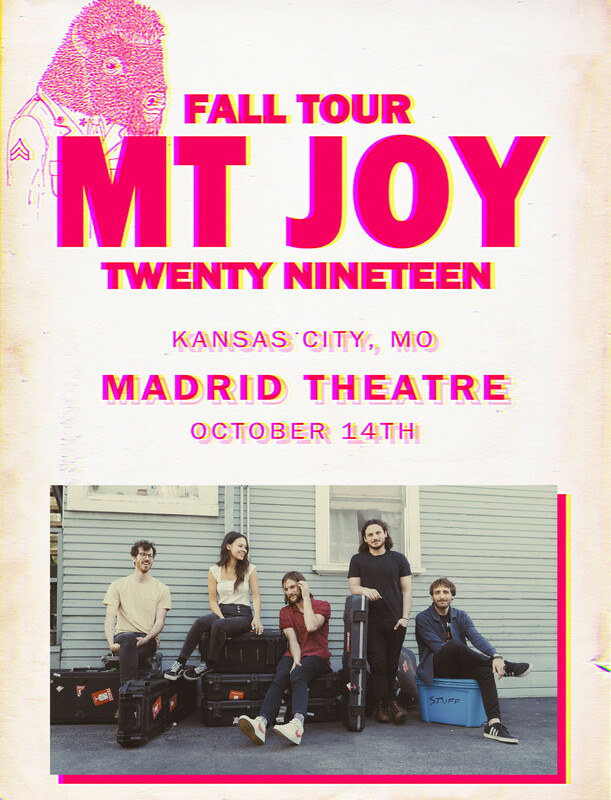 They're coming to the Madrid Theatre on Monday, Oct. 14! Tickets go on sale Friday, but Bridge listeners can buy tickets before they're available to the public, starting Thursday, April 11, from 10 a.m. to 10 p.m. — using the password BRIDGE after clicking on this link or the poster below!